This festive season calls for a new coat of paint, and of course a celebration! 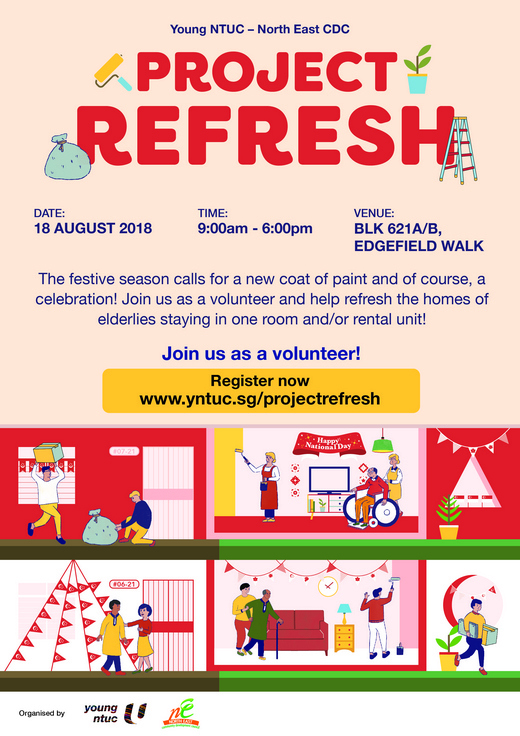 Join as a volunteer and help refresh the homes of elderlies staying in one room and/or rental unit! *Breakfast, lunch and event t-shirt will be provided! Sign up for this event as a volunteer today! Share the Joy of giving back!